I would be remiss in not re-sharing this recipe. 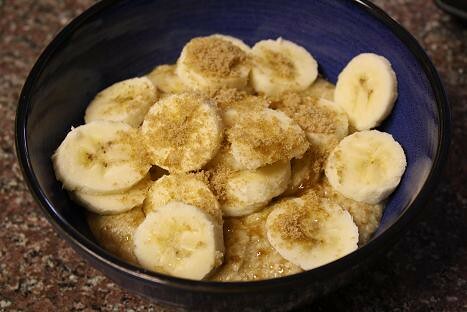 Back in February, I recommended this banana, wheat germ, and oat recipe by Cooking Light in my in a separate blog post. Lately this dish has made a comeback in my kitchen, and I wanted to bring it to a wider audience. I know that after sharing the link with my sister earlier this year, I got her hooked on this grown up oatmeal dish. What’s not to love? It is healthy, takes very little time to make, and makes use of very few ingredients…the trifecta! But seriously, I find that this recipe is perfect for breakfast, lunch, or dinner. One interesting ingredient (at least for me) is Wheat Germ. I had never heard of it before using it the week I made granola on my site. Then I noticed it in this Cooking Light recipe and was intrigued. 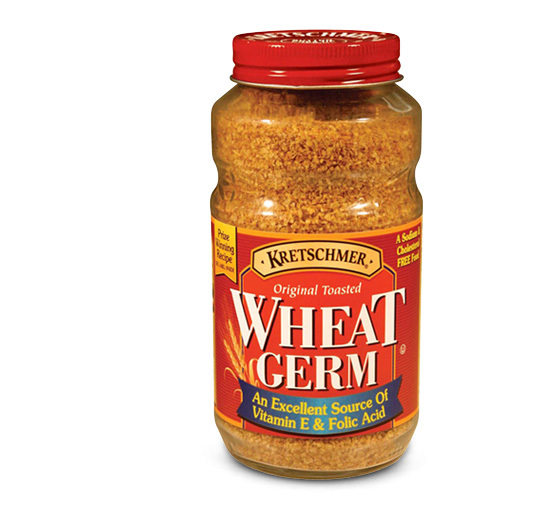 First off, if you haven’t used or bought wheat germ before, then head to the cereal aisle of the grocery store. Second, I found that the wheat germ really pumped up this oatmeal and gave it a little more heartiness than it would otherwise have. Third, a little goes a long way. You can get several uses out of one container, so it’s a great buy. The recipe calls for bananas and a little brown sugar. It would probably be really great with fresh strawberries or blueberries, too. I really like the banana and brown sugar in the dish as it adds great sweetness, so I haven’t been too adventurous. If you aren’t a fan of bananas and try it with other fruit, I would love to know what works for you. So when you’re craving a heartwarming dish that’s really good for you, then click here for this delightful recipe and step by step instructions. I hope you enjoy!